Suncast Commercial stanchion trucks are made of durable structural foam along with powder coated steel frame that is engineered with 4 tie-downs for securing cargo. All 3 sizes feature a 360 degree adjustable caster system that changes the 2 fixed front casters to swivel for increased maneuverability. 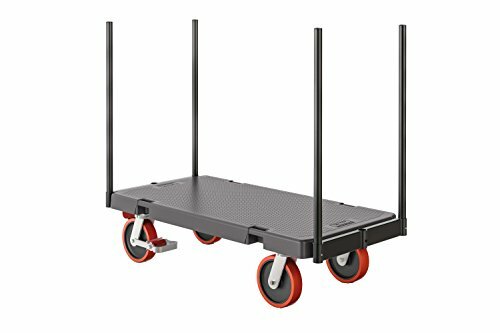 The 2 rear casters have integrated brakes for stability on uneven surfaces. Included are 4 adjustable stanchions that can be placed in 3 different locations on either side of the unit. Integrated brakes come standard on our heavy duty casters. View More In Panel Carriers.